Only days before its formal launch, the Vivo V15 Pro specifications were leaked. A 6.39-inch full-HD + Super AMOLED FullView display is found on the Vivo phone, which is expected to succeed the V11 Pro. The upcoming smartphone also seems to have a Qualcomm Snapdragon 675 SoC and 6 GB of RAM. 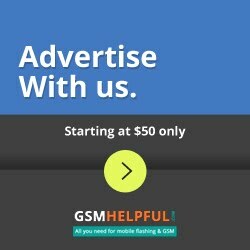 The Vivo V15 Pro's price has also been rumored. On February 20, Vivo launches the V15 Pro in India and has already begun to tease its key features. Tipster Ishan Agarwal has leaked a Vivo V15 Pro specification sheet on Twitter. The specifications sheet details the smartphone's key specifications and reveals the expected price of Rs. 33,000. If we believe the leaked specification sheet, the Vivo V15 Pro will have a 6.39-inch full-HD + Super AMOLED Ultra FullView display panel with a Qualcomm Snapdragon 675 SoC, 6 GB of RAM and 128 GB of onboard storage. The smartphone also seems to have a 3,700mAh battery and fast charging technology for the "dual engine. " Vivo recently confirmed that the V15 Pro will be equipped with a 32-megapixel selfie pop-up camera, similar to the Nex released last year. The upcoming handset was also found to have a primary 48-megapixel quad pixel sensor at the back-part of the rear triple camera setup. 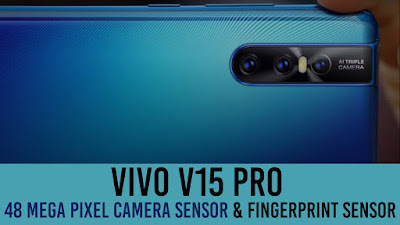 However, the leaked specification sheet shows that the Vivo V15 Pro's triple rear camera setup will also include a secondary sensor with 8 megapixels and a tertiary sensor with 5 megapixels. We could not verify the authenticity of the specifications sheet independently. Therefore, considering the rumor with a grain of salt is recommended. To remember, on February 20, the Vivo V15 Pro will be launched in India. The Chinese company did not disclose the phone's price and availability schedule. However, the model appears to be on sale in the coming days at least via Amazon.in. The online marketplace has already created a dedicated microsite for the new model.